Engineering the landscape and accessibility for a historic structure is a rewarding challenge. At Midwestern we’re practiced at facilitating such challenges. This makes the experience smooth and forward moving. Time is money, and both need due attention during a complex historic project. One is the illustrious and legendary Thompson Block. Midwestern and a brand-new team were brought in for the Thompson Block development. Proceeding with this team after a rocky beginning to the Thompson Block restoration, is exciting. 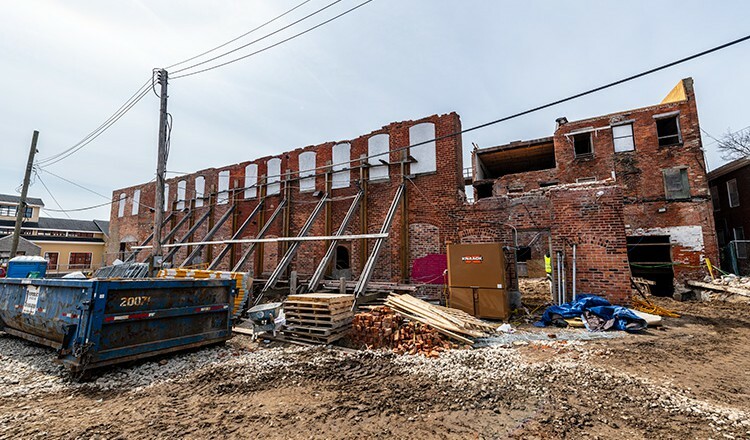 Historic projects in Ypsilanti need special attention regarding approvals and permits. We facilitated approvals by the planning commission, bringing our past experience to the table. We were also partially involved with the historic district association, in order to follow through with requirements and approvals for the historical signage. Midwestern is providing survey and civil engineering, as well as landscape architecture for the Thompson Block project. We developed practical and eye-pleasing accessibility for the intricate design of the Thompson Block. Due to the nature of the building, its accessibility required a complicated design. We worked with both design grades and existing grades at both northwest and southeast end of building when designing accessibility. This included the implementation of handicap ramps and retaining walls. We also designed an additional barrier-free space on River Street to provide accessibility and close proximity to the front door. 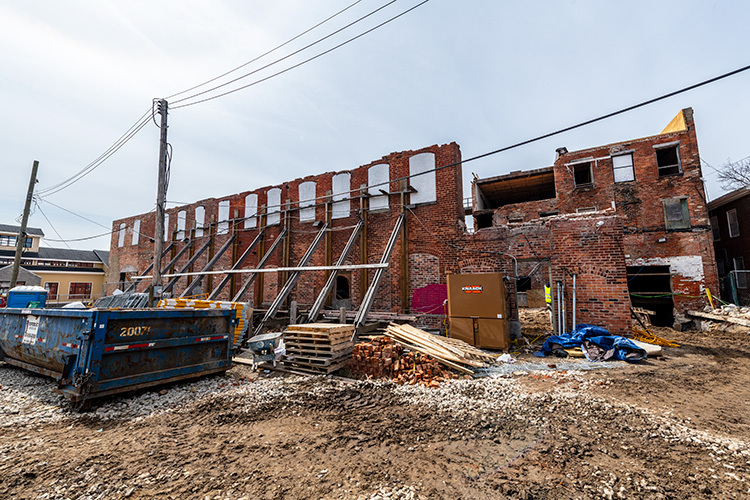 A lesser known fact about the Thompson block is that its funded by tax credits and grants from the Michigan Economic Development Corporation. Those fundings required Midwestern and the team to meet submittals at specific times. Part of the landscape plan that Midwestern provided is an infiltration basin, for extensive storm water management purposes. Extensive plantings were designed into the infiltration to make it pretty. We don’t want to provide any eye-sores in the beautiful Ypsilanti. Extensive features were included to make it easy to maintain, as well as easy on the eyes. We’re honored by the trust our clients here in Michigan give us. If you’d like to learn more about our past projects, read more on our blog or contact us for a chat. Rendering of the completed Thompson Block project.